Ever need a place where you can find a sympathetic ear, get some friendly advice, and perhaps share an evening with friends while enjoying a lovingly prepared libation…or do you just end up at Moe’s Tavern? 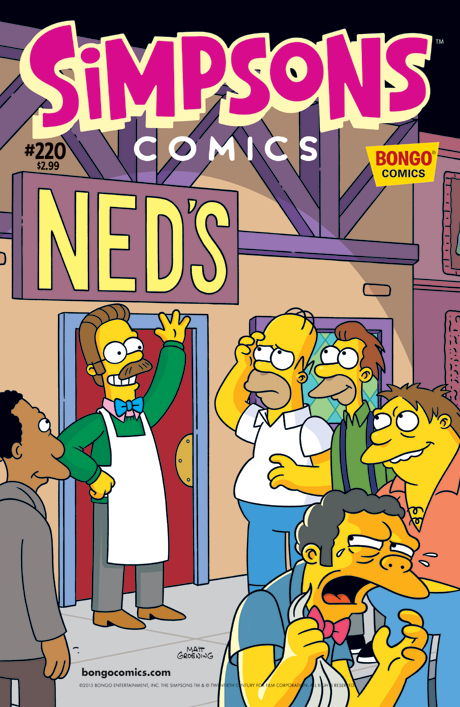 Well, there’s a new mixologist in town, Ned Flanders, and he’s serving up a fermented microbrew that may very well foment an unfortunate face-off. Enter Homer Simpson, who finds himself in the middle of it all—between a PO’d Moe and his holier-than-everyone else neighborino.